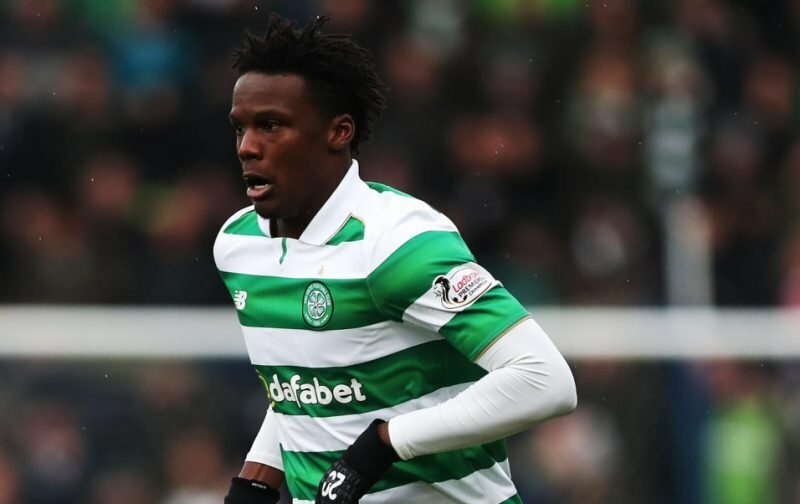 Dedryck Boyata Appears To Be On The Brink Of Signing A Brand New Deal With Celtic. When I saw the papers this morning, and the story that Dedryck Boyata has dropped a “cryptic hint” about his Celtic future by putting on Instagram a video of him watching our weekend game with a contract in front of him, my first response was to smile widely. I am still smiling widely as I write this. Because I wrote last month that I thought he might be on the verge of committing his future to us and I see no reason not to hold onto that view. Dedryck has proved that he wants to play for the club. He’s proved it by actually doing so. He’s dug in. He’s grafted. He’s put in a shift. I was furious with him when he pulled his little stunt prior to the qualifiers. I said he should never pull on the Celtic shirt again. But as one of my colleagues on the site has pointed out, and as events made clear, if there was the slightest doubt about Dedryck inside Celtic Park then he would never have been retained far less allowed to keep the famous shirt. You only have to look at how the club reacted to Dembele’s strop to see that whatever happened it was not Dedryck downing tools, as his agent reported. Was this just the agent playing games? Over time I’ve come to believe that it was. The player himself has been solid as a rock since. He has never flinched. His performance at the weekend proved it, when he played on with a head bandaged up. That he actually has come down with an injury is a huge disappointment. Today’s news, about his cryptic Instagram post, comes as no surprise because it’s not the first hint that’s been dropped about this. Boyata has given the press several interviews which have nodded in its direction and the manager’s total lack of concern over where the issue might be going has been another one. The player is not performing like someone eyeing the exit door; on the contrary, he seems more committed than he ever has. Brendan gave another hint last week, when he pointed out that the player’s next contract is a very important one. In those remarks was more than just a subliminal hint that Celtic had made him one last offer, and that it was giving him something to think about. Is that the famous piece of paper that’s sitting on his table? You know what? Think this through. It has to be. Because right now, no other club is in a position to make him a contract offer, and that will be true for another four weeks. If that really is a contract memo then it’s from Celtic and if he’s hinting that he’s about to sign it, then brace yourselves for big news, and good news at that. Regular readers ought not to be surprised. Almost anything can still happen here, but the range of options has always included the possibility of his committing his future to Celtic. I think we’re on the brink of the big man doing exactly that.